Moreno in his article also made mention that in 1931 there was a debate at the annual American Psychiatric Association whether Abraham Lincoln was a “manic schizoid personality whose depressive moods stopped short of mental illness.” The article went on to state that “analysis of the dead is not a legal violation, but nonetheless raises the question of fairness as the dead cannot defend themselves. He went on to say that to analyze a living person without data is not only bad practice, it also runs the risk of making the analyst look foolish if the individual later behaves in a way that was not predicted. The editor of that article about Goldwater was Ralph Ginzberg and he was sued for libel and lost the case and had to pay Goldwater $75,000 in damages which is approximately $579,000 in todays money value. Several years later in 1973, the American Psychiatric Association issued the first addition of Principles of Medical Ethics which is still in effect as of 2017. 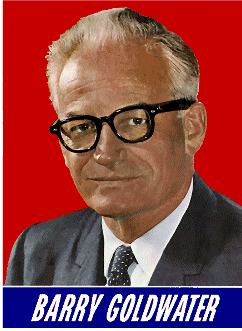 I will list Section 7 , 1-5 but it is #3 that has informally known as the “Goldwater Rule” which is most relevant to the topic we are discussing. Psychiatrists should foster the cooperation of those legitimately concerned with the medical, psychological, social, and legal aspects of mental health and illness. Psychiatrists are encouraged to serve society by advising and consulting with the executive, legislative, and judiciary branches of the government. A psychiatrist should clarify whether he/ she speaks as an individual or as a representative of an organization. Furthermore, psychiatrists should avoid cloaking their public statements with the authority of the profession (e.g., “Psychiatrists know that”). Psychiatrists may interpret and share with the public their expertise in the various psychosocial issues that may affect mental health and illness. Psychiatrists should always be mindful of their separate roles as dedicated citizens and as experts in psychological medicine. The psychiatrist may permit his or her certification to be used for the involuntary treatment of any person only following his or her personal examination of that person. To do so, he or she must find that the person, because of mental illness, cannot form a judgment as to what is in his/ her own best interests and that, without such treatment, substantial impairment is likely to occur to the person or others. Psychiatrists shall not participate in torture. There are very detailed procedures for filing an ethics complaint and how such a compliant will be evaluated on the local district branch level and then up to the national level which are spelled out in detail and include an appeals process. Potential sanctions to a member of the American Psychiatric Association who has been found to be in violation of one of the ethical rules are reprimand, suspension or expulsion from the national organization. 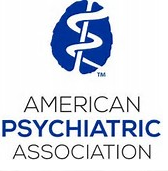 As far as I know there have been no sanctions by the APA regarding the Goldwater Rule thus far but this is still a topic which is being discussed both within and outside the psychiatric profession.